BASS GUITAR LESSONS FOR THE BEGINNER. This video lesson takes you from absolute beginner and gives you the skills to take you to the stage if that is your dream. Never has any "beginner" lesson program given you so many trade secrets, amazing pro playing styles and the clear know how to use all of this the way people SHOULD be taught. Clearly the coolest way to learn how to play that low down bass that is calling to your soul! 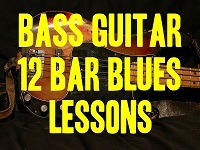 Bass Guitar 12 Bar Blues Lessons. Run time is 1 hour & 50 minutes. The 12 Bar Blues are the true roots of what all great music is based on. It is a proven, hit making formula that EVERYBODY MUST LEARN or you will simply never be able to play the majority of music ever written. Everything from "Johnny B. Goode" to "Old Time Rock And Roll" to "Stormy Monday Blues" are superb examples of what a 12 bar blues pattern is. So, grab this lesson and unlock the mystery to the music of so many generations! 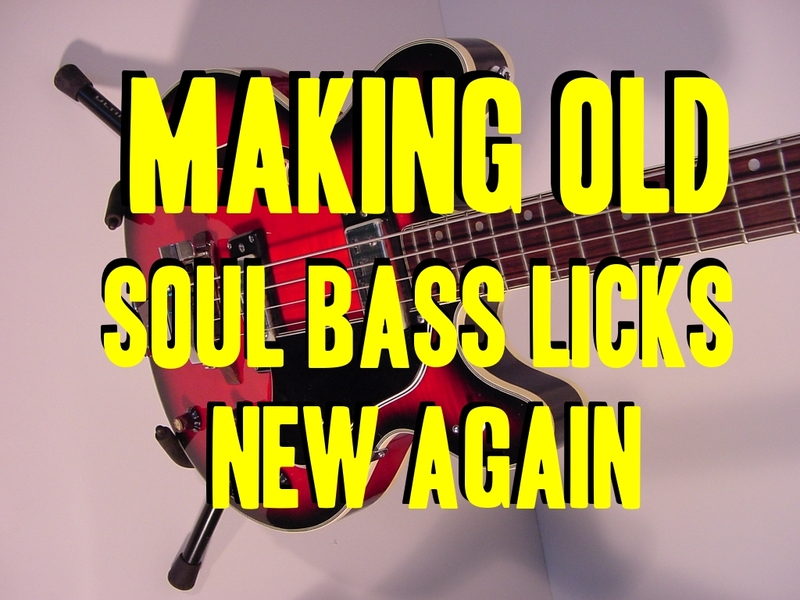 Making Old Soul Bass Licks New Again. Run time is 1 hour & 53 minutes. This video lesson lets me teach you those classic soul bass licks we all know and love so much and also breathe some new life into them to allow them to work in the 21st century. Allow me to teach you to broaden that thin line that people think exists between soul and funk. Both are very useful, but quite different. To be a bassist without soul is a sad thing. So, if you don't have it, or just need a BIG boost with grasping the style and feel and making the right choices when playing current soul or classic soul...I feel your pain and I'll help you to FEEL what SHOULD be there to make the most of the songs. ENJOY! Funk & Slap Bass Guitar Beyond The Basics! 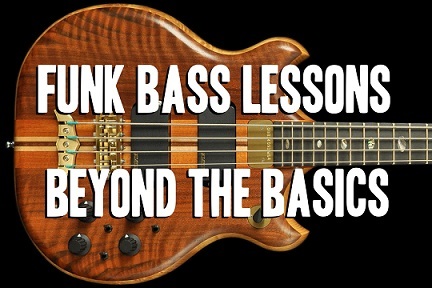 This lesson picks up where my first funk bass lesson left off. It's time to get a lot GROOVIER than ever before. Lots more popping and slapping going on here. I help to get you from being a bedroom player to having all of the skills to take you to the stage (if that's you goal). If not.....you'll be the funkiest player in your neck of the woods for sure. I have a knack for churning out great players in the least amount of time. So, be sure to watch the video preview for a very small look at what you'll be in for. I'll just say CONGRATULATIONS now. Have fun! and want to give it a try, then this is the course for your. who wants to play "Mary had a little lamb" all day? It don't happen here. I take you right into what it takes to be a REAL bass player. So, you have the urge to play it low and loud, let's get going. In this video, I show you all of the theory that you will need for pretty much a lifetime. Yeah, all of the Do-Re-Mi etc. stuff is there, but I take it so much further. I don't bore you to tears for even a second. This aren't your Grandma's lessons. I set the boundaries, the rules, the parameters of what you are "allowed" to play according to the people who made up the whole concept of theory in the first place, then I shatter it! There are no boundaries in music people. There are suggestions and such, but at the end of the day, it's up to you on how you want your music to sound. Nobody should dictate the levels of your creativity. 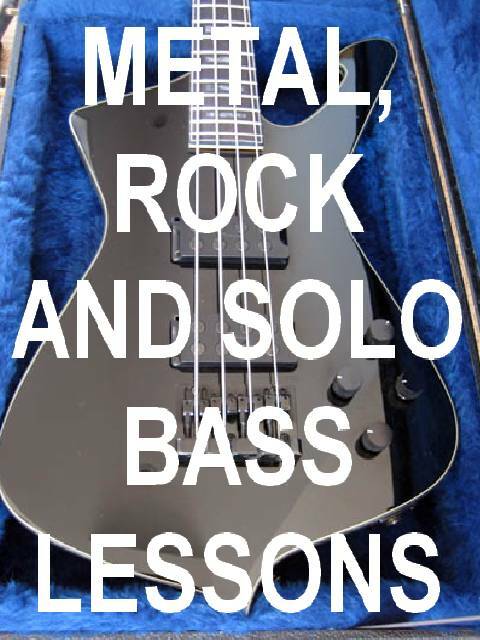 The really challenging part of this lessons is to teach you to think for yourself and to be inspired enough to create licks, bass patterns and on and on that are strictly yours and belong to nobody else. That is what I have done here. 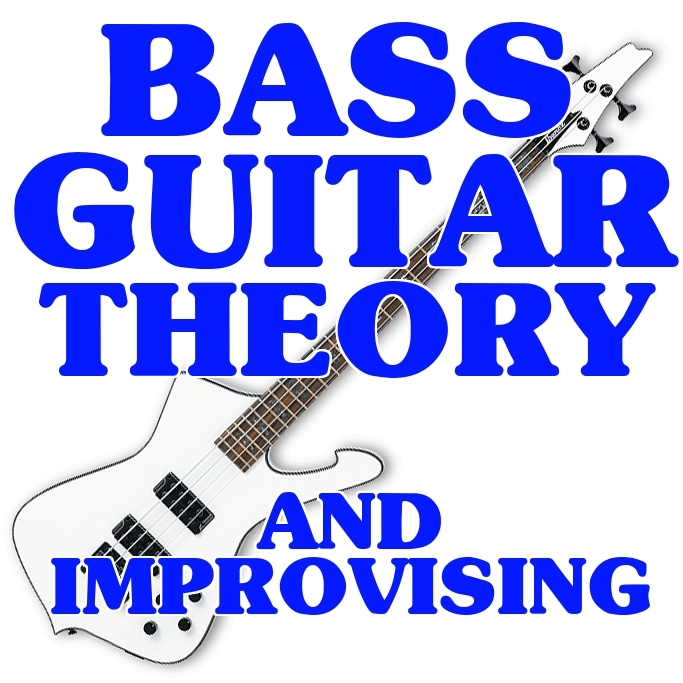 I was asked to put out a theory video for bass players and to teach you to be self sufficient enough to create your own grooves and runs. I feel that I've done just that and a whole lot more. My 60 track drum tracks download or CD ROM disc is strongly suggested to accompany this lesson. I use it throughout to help demonstrate everything and you will never find a better practice tool than that set. 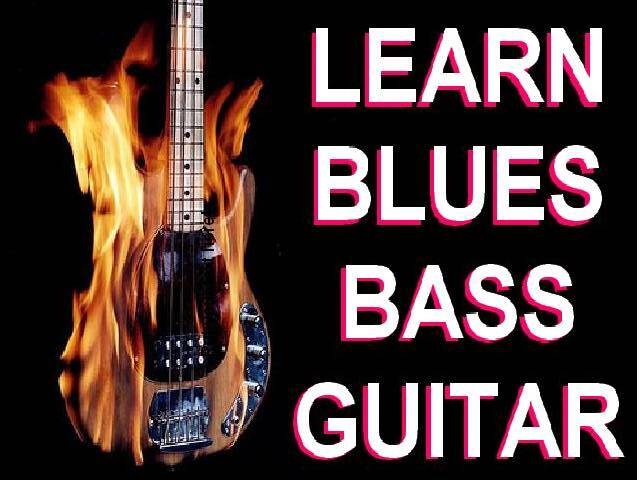 This course will take you from the basics of blues bass guitar all the way through complete walks and runs. This is the one that will get you where you want to go. I teach you from the bare beginnings to the advanced all in this one video. If you have the slightest knowledge of the bass guitar, I will have you playing the blues, and playing it great in no time at all. I will teach you basic theory and then give you all the great licks and know how to be a great blues bassist. From beginners to intermediate players, this is a great course. 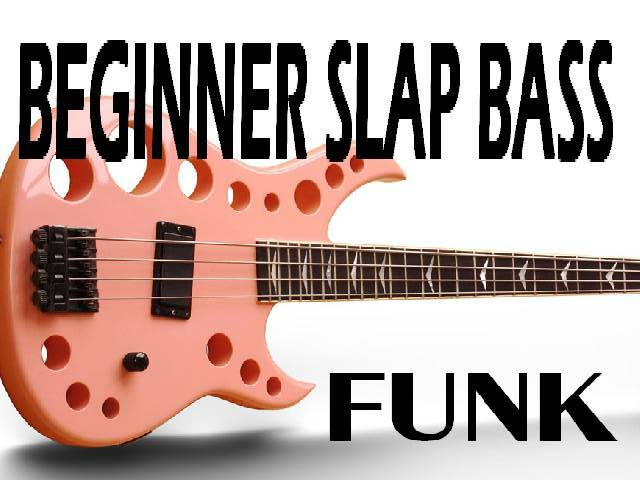 In this video, I take you from the very beginning and show you everything from tuning to basic funk grooves to the slap and pop basics and beyond. I really go to great lengths to show the techniques and the cool licks it takes to get you well on your way to getting all funky with your bad self. Just check out the video clip to see exactly what I show you in this video. Here we have bass guitar lessons to the extreme! This course is not for pure beginners. As long as you know your basic notes and are a maniac and are ready for an intense workout....then hold on tight because I'm going to wear you out. I give you all of the licks, runs and tools to rock as hard as anybody out there and make you play bass like a pro. Check out the video for a hint of what this lesson has in store for you. 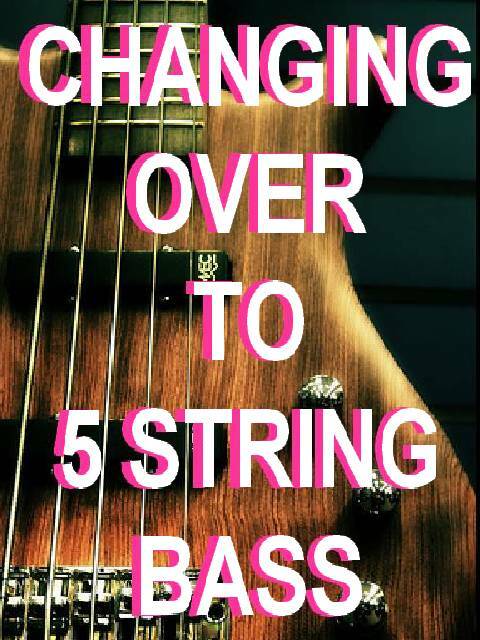 Did you just pick up your first 5 string bass after working on the 4 string for a long time? Now it's time to convert over to the thunderous low notes that only a 5 string can deliver. I'll go through all kinds of styles from Rock, Slap, Blues and Country styles that lend themselves to the 5 string bass. Most players these days are using them and it's time that you did too. I also go over a lot of cool licks, chords (yes chords) and other slapping techniques. I teach you how to get down to those monster low notes and when to get back out of them so you don't end up sounding like a tuba player. This is just a good, all around video which helps you make a smooth transaction and is full of cool ideas and licks. This is for the intermediate player who knows some good background on the 4 string bass and wants to make the switch and get some other cool stuff too in the deal. Have fun with this video. I had a request to put out a video of nothing but walking bass instructions and here it is. This video covers all genres from country to rock and blues. 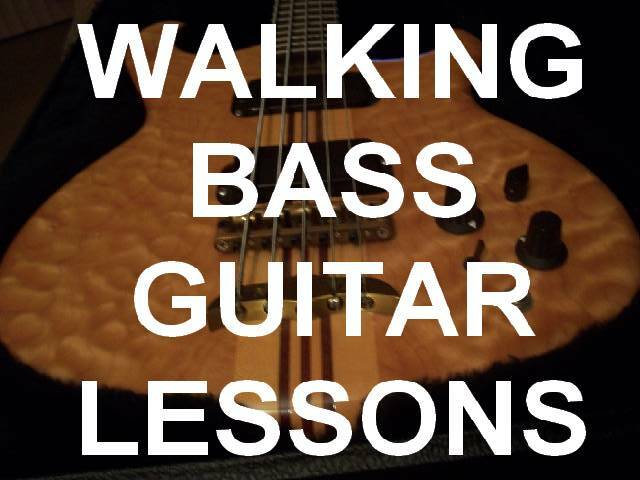 I had different walking exercises in each of my other bass lesson videos, so all of those are here plus more. Simply check out the intro video clip for a very small sample of the different kinds of walking patterns that I will show you note for note. This beginners course takes you from the very bare essentials of knowing your bass to actually being able to play confident country bass guitar. 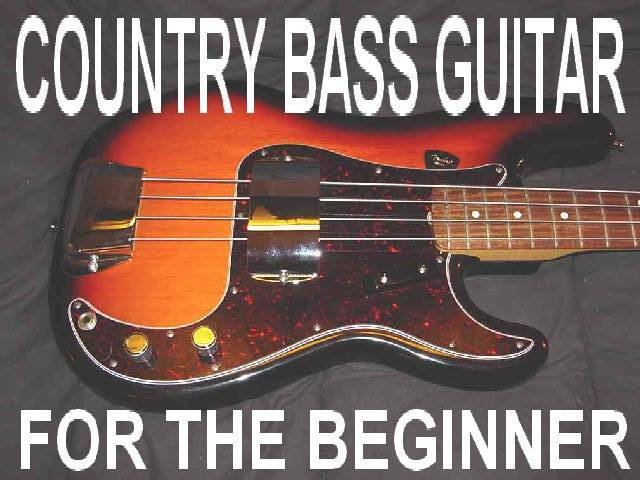 I teach you one on one basic country bass patterns and walking bass patterns to give you the tools needed to play most of today's and yesterdays country hits. This course takes you beyond the basics of country bass guitar. It takes you into more complex walks and patterns and even some popping that is used today in country bass playing. I teach you one on one like nobody else does. I give you all the tools you'll need to advance past the normal country bass player and make you a much more valuable player. I won't try to teach you to be overly busy, just give you the skills to make your patterns more interesting and professional. Run time is 1 hour! I have had a few requests for a waltz bass guitar lesson and here it is! 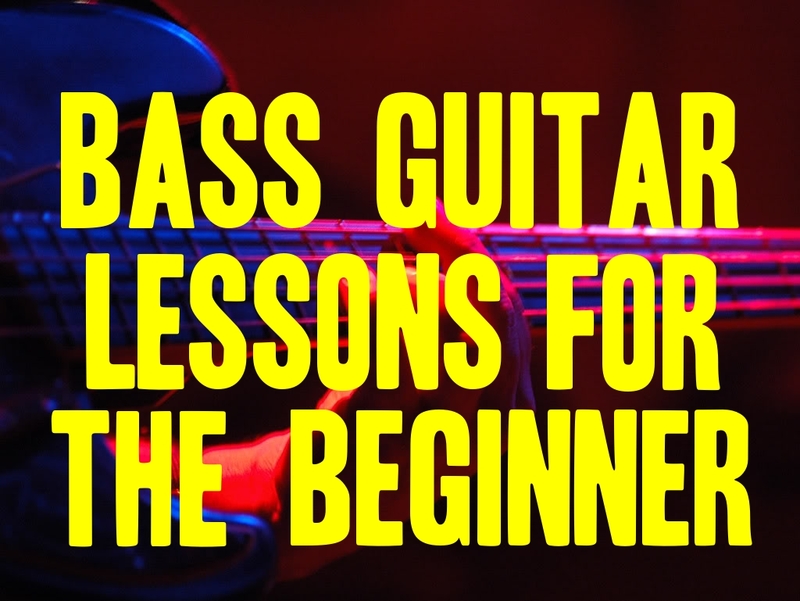 If you have the slightest knowledge of the bass, including knowing your basic notes and how to tune it, that's about all you will need to get through this course. I take you through a quick lesson of the Nashville Number system, teach you the proper way to count waltzes (which is where most people have the problems) and then I show you the basic waltz patterns and the runs to get you from chord to chord. Then the fun really begins as we sit down together and I will take you note for note on a journey through 5 classic and current country waltz songs and you get to play right along with them. I'lI have had a few requests for a waltz bass guitar lesson and here it is! 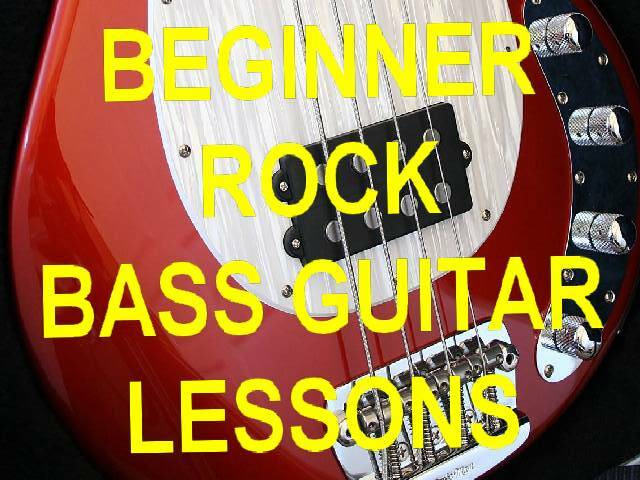 If you have the slightest knowledge of the bass, including knowing your basic notes and how to tune it, that's about all you will need to get through this course. I'll run through each song once and show you what is in the song and any runs or licks that may also be involved in that song. After we dissect it the first time around, then I let you play along with them and I'll just lay back (still playing along very softly) so you can be the bass player to each song and still view me playing it for reference points. This is a must have video for any country bass player. Thanks again for the suggestions and enjoy this one! run through each song once and show you what is in the song and any runs or licks that may also be involved in that song. After we dissect it the first time around, then I let you play along with them and I'll just lay back (still playing along very softly) so you can be the bass player to each song and still view me playing it for reference points. This is a must have video for any country bass player. Thanks again for the suggestions and enjoy this one! 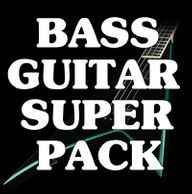 BASS GUITAR SUPER PACK ! You will receive 8 hours of the greatest legends of country music guitar lessons on 1 DVD ROM video! LEARN TO PLAY BLUES BASS GUITAR! 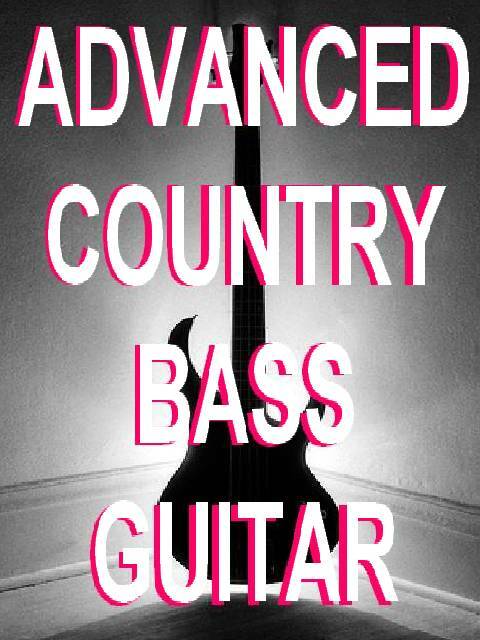 LEARN COUNTRY ELECTRIC BASS GUITAR! CONVERTING OVER TO 5 STRING BASS GUITAR ! 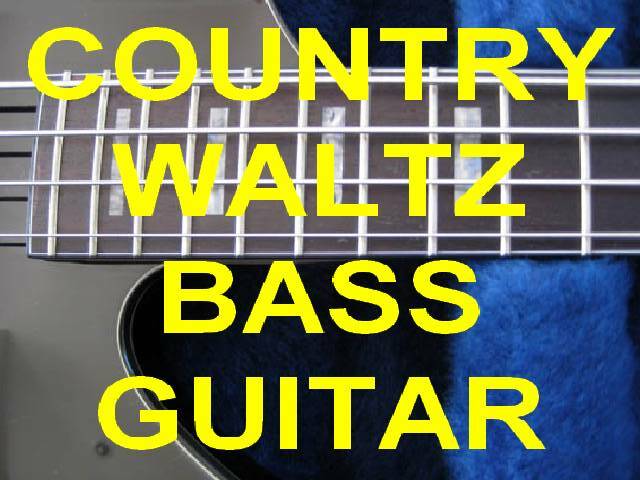 COUNTRY WALTZ BASS GUITAR LESSONS!